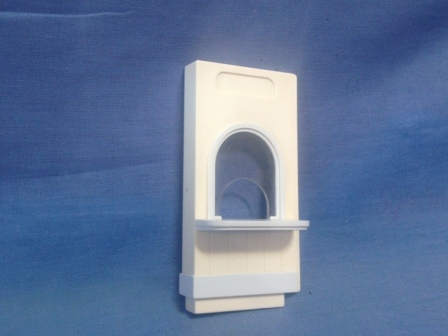 Sylvanian World Free UK shipping on orders over £30. 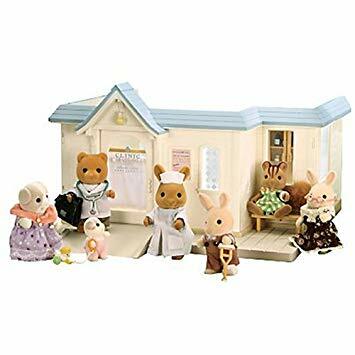 Collectable and Pre-Owned Sylvanian Families. The General Hospital has been released by Flair in the UK, the first time with a blue roof and then later with a green roof. It was originally released by Tomy as the Cottage Hospital and included Doctor Murdoch and nurse with the set. The current hospital is associated with several medical themed sets, such as the Dentist, Country Clinic and the patient and nurse. Stand alone reception desk located into slots near the door.